What happens when your daily bread becomes poison? You’d probably go to a different bakery, or buy a different name-brand loaf, or rant about it on a Facebook post, but that’s something that the lot of us Internet-folk have the privilege of doing. A lot of people who face these daily poisons don’t have that privilege. Maybe it’s the only bakery in town. Maybe it’s the only thing that they can afford. Maybe they can rant about it while writhing in the public wards of government hospitals. Maybe get a mention of it in media, alongside a Mayor with a giant bedroom in his office or the next celebrity engagement. ABS-CBNNews.com reported six cases of food poisoning in the Philippines this week. Combined, the poisoning cases affected 2,028 people, mostly children. The food was not anything exotic or fancy, but typical things we would snack on: cakes, buns, candies. All this following the national scandal on synthetic rice; needless to say, “fake food” has once again stepped into the limelight. The news shows us that poisoning from adulterated food almost always happens to the vulnerable segments of our population: the poor, the young, and those from far-flung areas who don’t have easy access to healthcare. Adulteration itself is a very long and odious tale of greed, chemistry, political difficulties, and the old truth from countless cautionary tales: the way to move the heart of the people is through their stomachs. If the history of adultery is as old as the history of marriage, then the history of adulteration is just as old as the history of food. Take the Bible, for example: Isaiah 55 is a call to accept God’s grace on the one hand, and a warning against fake food on the other (“Wherefore do ye spend money for that which is not bread?”). 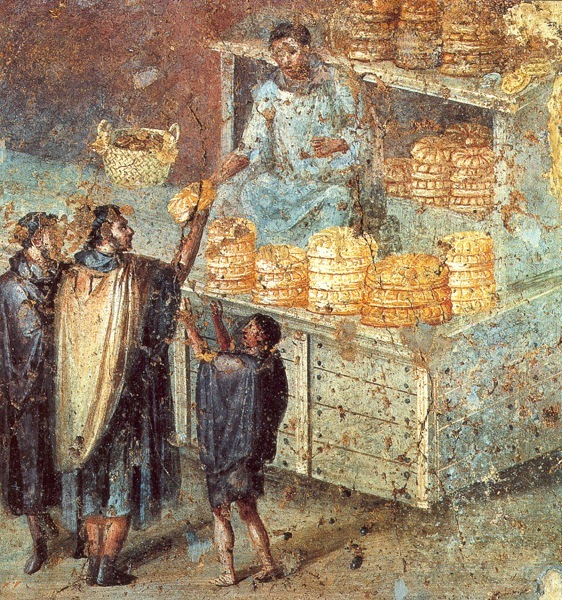 In Roman times, statesmen like Cato the Elder and Pliny the Elder made comments about watered-down wine, and bread adulterated with chalk and cattle feed. Centuries of spice trading gave way to hundreds of ways to adulterate spices: old berries, flavorless seeds, and even stones. Over the next few centuries, adulteration seemed normal, perhaps even beneficial. As the Industrial Revolution crept into farms and ranches, so did inventions like preservatives and additives to keep surpluses of food fresher for longer. But all too often, these additives were used to maximize profits: milk was watered down and mixed with plaster, wood chips were added to coffee, and so on. The things used to adulterate food during those times would read like death sentences today: arsenic, boric acid, sulfuric acid, lead, and so on. 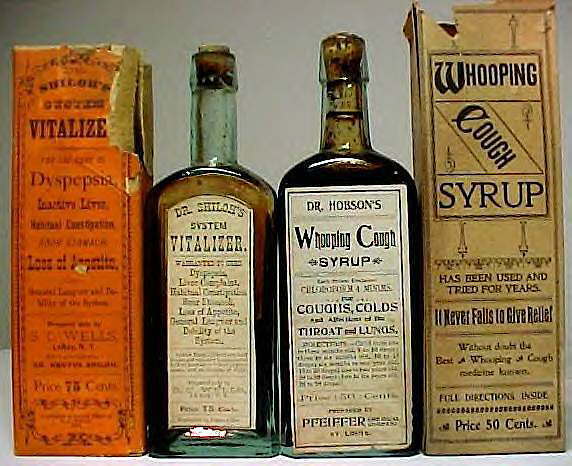 Many of these additives claimed to “improve” flavors and textures, or otherwise provide “health benefits.” In the 1800s, patent medicines became a big thing in the Western world; things like heroin and morphine and all sorts of liniments and pills – things we would classify today as “dangerous drugs” – were sold to the public. And with the advent of canning and other forms of preservation, the largely unregulated food industry started creating products that not only preserved the shelf life of food, but created “food” out of things not normally eaten. The “punishments” – if they can be called such – happened around less than a century later. Upton Sinclair’s celebrated novel, “The Jungle,” is an instructive narrative at these things that were happening at the turn of the century. Through the eyes of the character Jurgis Rudkus, Sinclair painted a disgusting picture of the Chicago stockyards and meatpacking plants that horrified America in its most progressive era. The vignettes from the novel remain stark for whoever has read it: how grandfather Antanas lost all use for his foot as the pickling solution ate through his boots. How beef trimmings from cows struck with tuberculosis were sent off to chutes and vats to make sausages. Or Jurgis’s fascination (turned disgust) towards what was then America’s way of using everything from the pig including the squeal: the chemicals that created potted meat, the chemicals injected into old and rotten hams, the borax and gelatin added to the odds and ends and scraps of the factory. Sinclair intended to convert the nation to his socialist cause, but failed to do so. However, the enduring legacy of “The Jungle” came by way of the 1906 Pure Food and Drug Act, which sought to curb the presence of adulterated food in the United States (and if it’s anything instructive and/or appetizing for local politicians in 2016, it was an enduring legacy that bears Teddy Roosevelt’s name). Yet the wealth of the US can allow even a person on welfare access to some form of fresh food. We don’t have that here: welfare is often found in the adulterated food itself. Not only do our vulnerable brothers and sisters have to contend with poverty and malnutrition, but they also have to confront very real poisons. The poisoning incidents that happened last week did not come from manufacturing giants, but small-to-medium businesses trying to make an honest a peso as possible. Someone in the business of fish crackers is liable for using putrid oil, but you can’t accuse him or her of being part of a cartel or a trust either. Maybe they’re just trying to save a few pesos, or they don’t know any better about the chemical changes that happen when oil is used at high heat over and over again. It’s a small lapse, but big enough for some TV vigilante to come a-knocking at the door and make an exposé out of the entire thing. It’s a small lapse that happens everywhere: the government can’t exactly police fishball vendors, or ambulant vendors selling peanuts in EDSA, or to manangs who sell turon and other treats in Makati office buildings. But the policing that it does is weighed and found wanting: when over 2,000 people get sick in the span of a week, there’s something wrong with the way our food laws are implemented. When someone gets tainted rice from reputable sellers in an industry replete with regulations and laws, then there’s definitely something wrong with the way these laws are implemented, executed, and looked after. Because if that’s the small snapshot of it, the bigger picture is probably worse. But the reality stands in stark contrast with the advocacy: it takes decades of negligence across so many different sectors of society – corporations, communities, the national government – to firmly entrench adulterated food as a way of life, making survival almost impossible without it. Without adulteration, small businesses would end up spending more on fresh, pure ingredients, setting them back in terms of profits. Some of them may even likely close down. But more than that, because of how fresh food was kept out of reach by the most vulnerable people in our society, adulteration is no longer something that’s tolerated or accepted: it’s necessary. The prognosis is even more grim, as we seem to be resigned to this fact. Government now weighs nutrition and food security in terms of instant food, and being “food-secure” is now juxtaposed against a poor family’s ready access to food that is potentially deadly to them. When we compare the amount of food we consume against how their prices have changed over the years, the numbers too, tell the tale. Especially when we consider that we’ve been spending less on food over the years: up to 1.72% per annum. Of course, it doesn’t have to be this way. Government can do so much more, like introducing new livelihood programs to keep small businesses from using adulterated products. Or to use communities to police food producers within their areas to check for adulteration. Corporations can do so much more than advertise “realness,” but live up to it; like sourcing raw materials from local farmers, and using more actual, real ingredients and use clear labeling. Our food laws need more teeth, I think: RA 9711 needs stiffer penalties (a P5 million maximum fine is chump change), and a better structure for the Regulatory Enforcement Units (maybe a scientist on board would make sense, for example). But that can’t take place overnight. Frederick Accum, a chemist who first raised the issues of food adulteration in 19th century England, once wrote: “The man who robs a fellow subject of a few shillings on the highway is sentenced to death, but he who distributes a slow poison to the whole community escapes unpunished.” Those words echo today, I think. Perhaps those are words that we should consider as we grapple with our daily bread, and continue to grapple with an age-old history of our daily poisons.